Mitchell State Park – Walleye Fishing Clinic from 10 a.m. to 3 p.m., at Carl T. Johnson Hunt and Fish Center, 6087 E M-115, Cadillac, MI 49601. 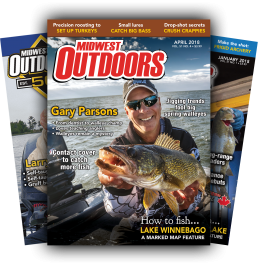 This class will cover how Outdoor Skills Academy pro-staffers spend their days chasing trophy walleye – everything from which rod and reel to use to how to use your electronics. DNR staff members will be on hand to answer any rules and regulations questions you may have. Plus, tips from a master taxidermist on how to care for your trophy fish when you catch it and want to have it mounted. Cost is $20. Limited to 50 students. For more information, contact Edward Shaw at 231-779-1321 or shawe@michigan.gov, michigan.gov.